SeaTwirl report for the quarter December-February. Turnover was 0 SEK (0) and the operating result was -1 394 815 SEK (-742 217). The negative result is attributable to development costs, including personnel cost. Balanced development cost amounted to 12 649 953 SEK at the end of the period (10 231 557), in addition to patent costs of 865 271 SEK (628 452). Cashflow for the period amounted to -1 916 580 SEK (20 552 805). Cash amounted to 14 600 770 SEK (20 841 842) at the end of the period. (-742 217). No changes other than the result for the period and transfer to Fund for development costs has affected the shareholder’s equity during the fourth quarter. “Another quarter has passed, and we have seen an increased interest in floating wind power. Our Norwegian friends, who are among the world’s greatest experts on floating offshore structures due to having drilled for oil on the Norwegian continental shelf since the 60ies, have taken further steps into our industry. In the middle February, Statoil announced that world’s first floating commercial wind farm, Hywind off the coast of Scotland, surpassed expectations during its first three months of operation. 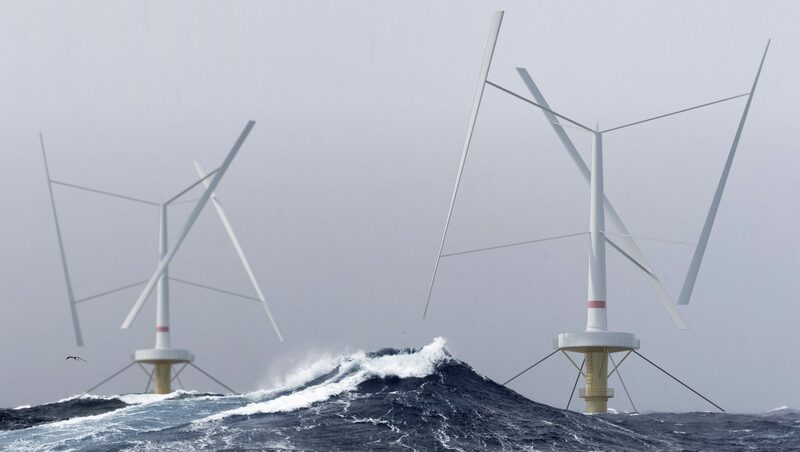 Statoil is so taken by the opportunities in floating wind power and renewable energy that they proposed a name change to Equinor, to reflect their transformation to more broad-based energy company, in the middle of March. In a similar fashion, the oil service company Aker Solutions has entered the floating wind power industry where they see great opportunities. Aker has invested in and formed an alliance with an American floating wind power company, Principle Power. The challenge that all of us in the wind power industry have, according to Giles Dickson – who is the CEO of WindEurope, the industry association for wind power in Europe – is to build bigger turbines, in the range of 10–20 MW. The main driver behind the falling costs for wind power is that the turbines have become bigger and that development must continue, says Dickson. He is right in that the costs need to keep coming down and, in that regard, SeaTwirl has several clear advantages, beside being able to exploit better wind resources. Vertical axis turbines are easier to scale and build big. At the same time, maintenance costs are kept lower, in part because of simpler design and in part because that all the parts that requires maintenance are situated closer to the water surface. In conclusion, the external developments are moving in our direction. There is an increasing interest from well capitalized players with great offshore expertise while SeaTwirl is fulfilling all the requirements that are being put in tomorrow’s turbines. With that wind in our back, we are very working hard to take full advantage. At the annual general meeting, which was held on February 26, our team was further strengthened when Charlotte Bergqvist was appointed to the board. Charlotte has extensive wind power experience and as chairwoman of the electricity industry’s industry association Power Circle and board member of Svenska Kraftnät, the authority in charge of the Swedish power grid, she is heavyweight in the industry.